What better way to break up the monotony of trolling the aisles of the grocery store than with a little video game action? 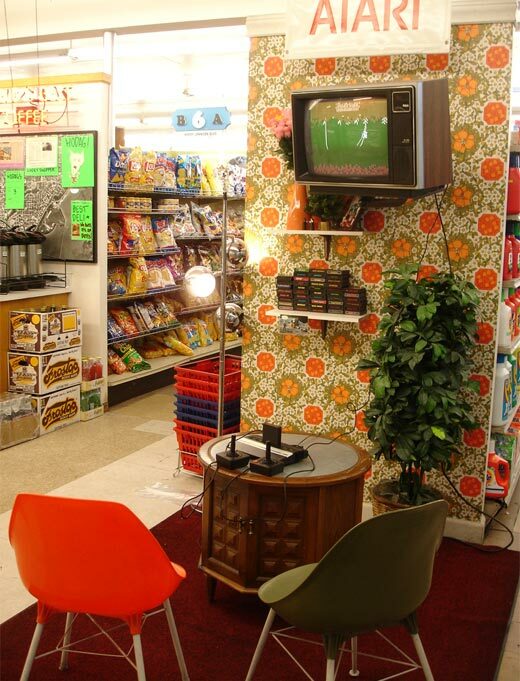 The guys at this funky Milwaukee, Wisconsin grocery store are happy to oblige with an in-store Atari 2600 lounge. 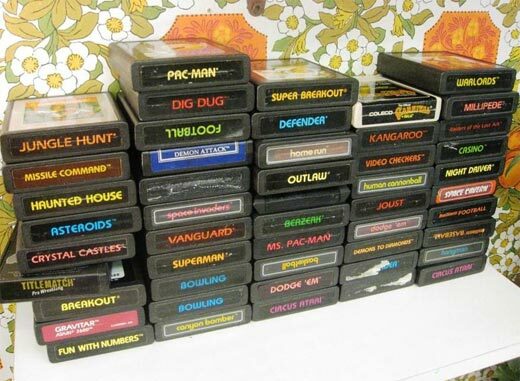 The display includes a fully-functional Atari 2600, along with a wide assortment of about 50 classic games to keep your mind sharp in between the Cap ‘N Crunch and the Mrs. Paul’s Frozen Fish. I especially dig the retro wallpaper and crappy old color TV which complete the kitschy rec room motif. Koppa’s Farwell Foods is a great example of why we need little neighborhood grocery stores (I’ve heard their Fulbeli Deli makes a mean sandwich too). If you happen to be in the Milwaukee area, check them out at 1940 N. Farwell Ave.